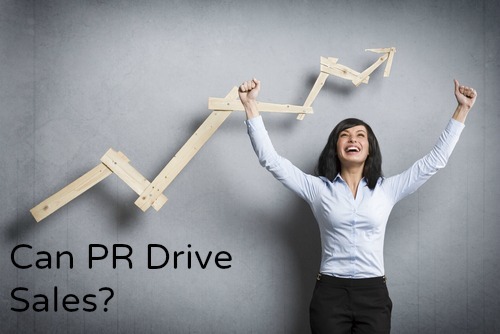 A great PR program can generate media coverage, but does it drive sales? Some public relations agencies make these claims, and they’re often true. Yet it’s a tricky question. Glowing reviews can boost website traffic. A business feature story can trigger calls from VCs. And a strong reputation usually engages consumers over time. But as a demand generation tool, PR is highly imperfect. The outcomes of a strong PR program – positive earned media and social sharing – aren’t as reliable as other marketing techniques. Public relations is at its best as part of a bigger-picture plan that comprises other marketing disciplines and tools. As Tim Dyson of Next Fifteen explains, it’s mostly “PR + other things” that makes the magic. In an ideal situation, earned, owned, and paid media work together. But there are some notable ways that a well crafted PR program can generate prospects and turn them into customers. 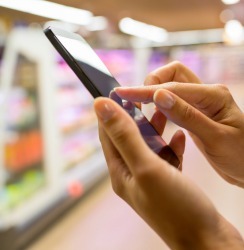 There’s a vast amount of information accessible to shoppers today, which is part of why the traditional relationship between marketers and customers has been disrupted. I can find lots of information and opinions about the latest iPhone without looking at Apple’s website or walking into a store. But the sheer amount of stuff available has made credibility more important than ever…and maybe more elusive. Brands must earn the trust of customers, and that’s where good PR can play a role. Nielsen’s 2015 Trust in Advertising report shows that people trust earned media (as in editorial articles and posts) and owned content more than any other formats. Eighty-three percent place their confidence in “recommendations from people I know,” which makes sense. Sixty-six percent give credence to editorial content or consumer opinions posted online over other media. So it stands to reason that earned media and social mentions generated by a strategic PR campaign work as a sales support tool. Expertise is a powerful differentiator. A PR program that focuses on thought leadership and executive visibility is often a very effective way to align an individual – and a brand – with a specific type of expertise. One tactic that supports that positioning is a thought leadership event. For many of the B2B brands we represent we set up expert discussion panels that join a top client executive with notables in their industry to explore trends or talk through a burning issue. By combining influencers, customers, and prospects as well as media who cover the issue or category, the panels create opportunities for earned and owned content, as well as direct customer contact. The alignment helps distinguish the client brand and link it with borrowed expertise and the client’s own insights. High-value services like business software are complicated, and the sales cycle can be very lengthy. Again, the sheer amount of information out there can actually delay a buying decision, given that 81% of buyers do online research before shopping. When a product is expensive, complicated, or both, it’s hard for paid media to provide the depth needed to educate a prospect or explain features and benefits in a thorough way. That’s often where the earned media generated through PR comes in. Features and reviews work to condition the market and point prospective buyers in the right direction for marketers. Then, with help from email marketing, SEM, or owned content, they move right down the sales funnel. Brand influence is born in a community. Content from review sites, digital forums, and the opinions of people we know are routinely factored into our shopping and buying. A well designed social PR campaign that taps super-users, bloggers, reviewers, and influencers helps build a public dialogue for a brand; an organized program can even create brand advocates. Sodastream, for example, extended its Super Bowl ad buy in 2014 with a contest that let fans compete for 1,000 slots as party hosts, equipped with a party pack with SodaStream soda makers, new flavors, and other goodies. It may seem counterintuitive to engage current customers, but what the brand was really doing was turning them into advocates at their own parties and exposing the product to friends and families. The campaign was all about creating new drinks, sharing photos, tweets, posts, and videos and generally pouring on the word-of-mouth love for the brand. Tired of hearing about the influence (and purchasing power) of millennials? Get over it. The Gen Y segment is only beginning to flex its muscles, and it’s a generation that tends to be skeptical of marketing claims. Forget traditional ad buys; social campaigns for brands like Oreo, which celebrated gay pride with a rainbow-colored cookie photo on Facebook, are engaging younger consumers by being in their face and being clear about what they stand for. Make no mistake, the “backlash” around the statement from those who didn’t agree with the values it represented was a huge part of its success, gaining editorial coverage and social sharing that helped it go viral. A different version of this post was originally published on MENG.